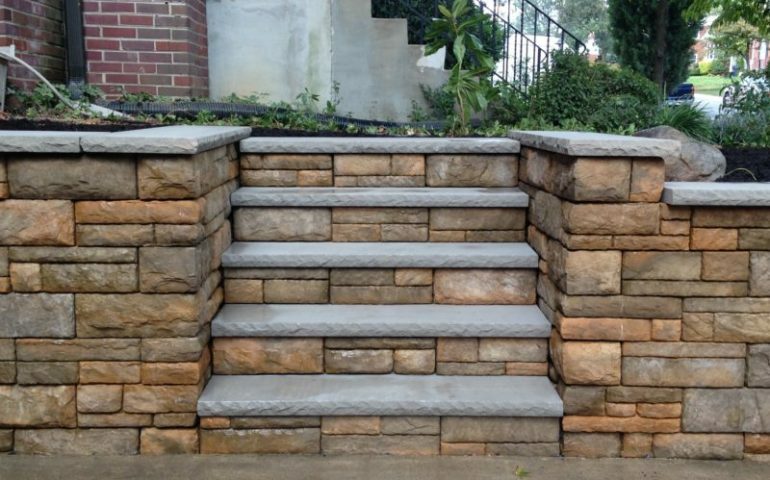 Cast Stone Paver steps and retaining wall. Indiana Limestone treads and wall caps. Treads and caps sawn and have a rockface on one side.